The city of Hobart is packed with activities and attractions for children of all ages. Whether you’re planning for the school holidays or your next family vacation, it’s never too early to start getting ideas for a family-friendly itinerary in the Tasmanian capital. If your kids are the sort who love animals, there are few better places to visit than Bonorong Wildlife Sanctuary. Located 30 minutes north of Hobart, Bonorong Wildlife Sanctuary is dedicated to the rescue and rehabilitation of injured and orphaned animals. 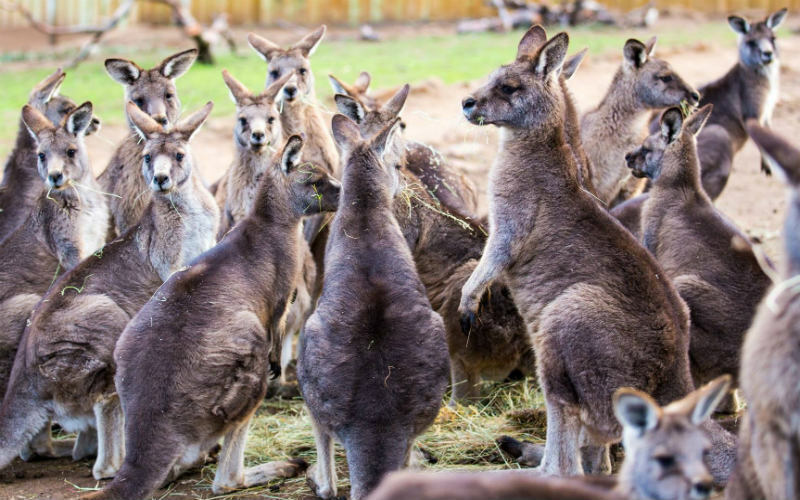 Grab a complimentary bag of feed and get friendly with the park’s free-roaming kangaroos and wallabies. Bonorong Wildlife Sanctuary is home to a number of native animal species, such as koalas, wombats, quolls, and Tasmanian devils. Not only does your entrance fee include a guided tour of the sanctuary, it also goes towards wildlife rescue and conservation efforts. Bonorong Wildlife Sanctuary, Tasmania, Australia. Image Credit: Bonorong Wildlife Sanctuary. 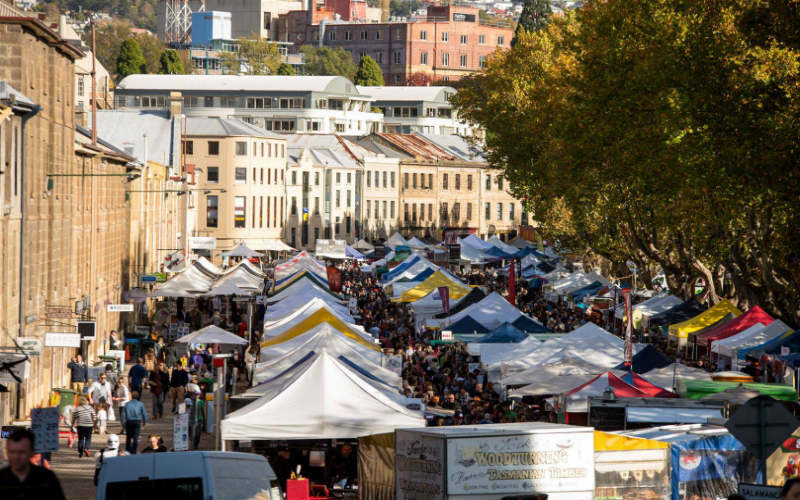 Every Saturday, the iconic Salamanca Market attracts around 30,000 visitors to Hobart’s waterfront. With over 300 stalls offering everything from handicrafts and giftware to food, novelty items and clothing, there’s sure to be something for everyone. Surrounded by historic sandstone buildings and leafy trees, there’s also plenty of space for the kids to run around and explore. Grab something to eat and relax at one of the nearby parks or gardens –– there’s a chance you’ll also get to enjoy some entertainment from the city’s talented buskers. Salamanca Market, Tasmania, Australia. Image Credit: Salamanca Market. While ‘fish feeding’ might not be at the top of your holiday bucket list, the Salmon Ponds near Hobart are certainly worth a visit. Believe it or not, this humble establishment has been operating since 1861, making it the oldest trout hatchery in the southern hemisphere. Take a stroll through the picturesque grounds, stopping to watch and feed the fish if you like. Learn about the life cycle of the trout at the Museum of Trout Fishing, and see if you can spot any of the property’s resident platypuses. The on-site restaurant offers a range of tasty food and drinks, making this the perfect place to visit for a peaceful afternoon. This museum and gallery’s central location makes it one of Hobart’s most accessible attractions. The Tasmanian Museum and Art Gallery is housed in colonial-era buildings just across the road from the waterfront. Showcasing both a permanent collection as well as temporary and touring exhibits, it offers visitors a fascinating array of artwork, historical artefacts, archaeological findings, and more. 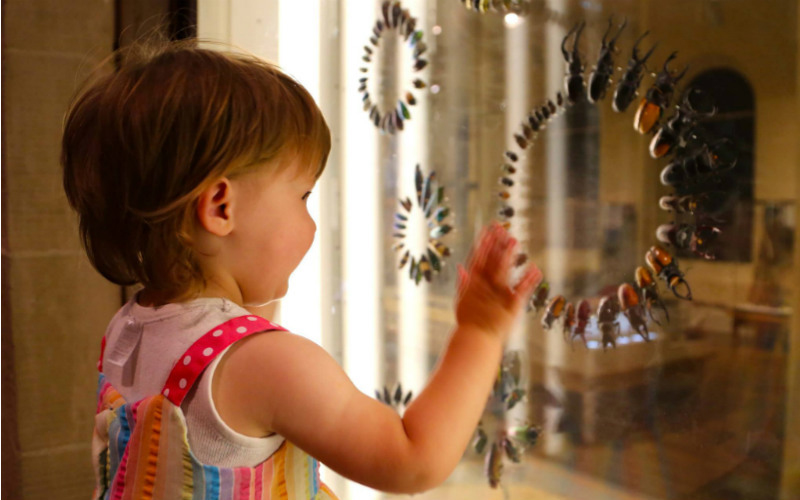 For those travelling with children, the Tasmanian Museum and Art Gallery is a much more manageable option than some of its supersized peers. However, there’s still plenty to see and do, a gift shop to browse, and WiFi in the cafe for those who need it. Best of all, entry is completely free and parking is in abundance. Tasmanian Museum and Art Gallery, Tasmania, Australia. Image Credit: Tasmanian Museum and Art Gallery. Opening in 1837, the Theatre Royal holds an illustrious status as Australia’s oldest theatre. After falling into disrepair, a passionate appeal by none other than Laurence Olivier saw the theatre renovated into the state of splendour in which you’ll find it today. 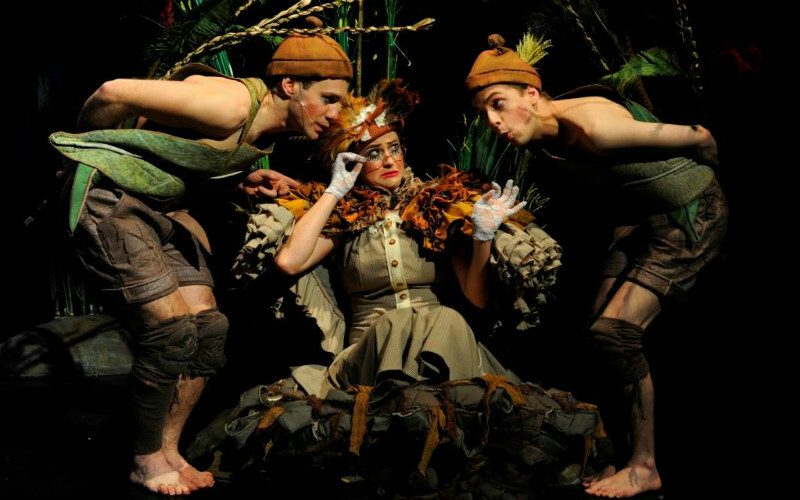 The Theatre Royal hosts a variety of family-friendly productions, from adaptations of children’s literature to comedic plays and musical performances, as well as theatre classics from playwrights such as Shakespeare and Samuel Beckett. The theatre’s intimate atmosphere makes it a favourite venue among locals and visitors alike, with guided tours available on Mondays, Wednesdays and Fridays. Theatre Royal, Tasmania, Australia. Image Credit: Theatre Royal (Hobart). Discover cheap flights and comfortable accommodation with Webjet, and treat the whole family to an unforgettable holiday in Hobart.